Insurance reviews have a massive impact on the industry. 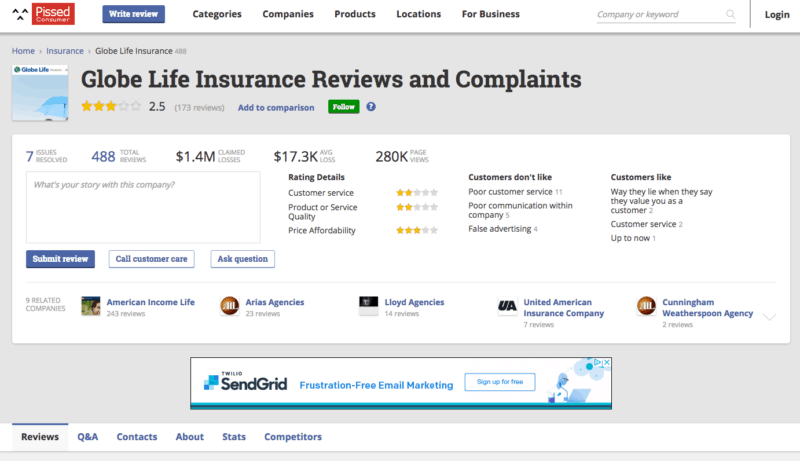 Our online reviews survey revealed that insurance companies have an average of 4.53 stars, meaning that the competitive landscape in the insurance world is fierce. This average rating beats out other major industries including services, restaurants, and healthcare. This makes it vital for every insurance agent to not just have online listings but reviews and ratings as well. In fact, 68 percent of consumers are unlikely to make any decision on an agent if they have no reviews at all. In the insurance industry, 61.2 percent of consumers view reviews as influential when it comes to choosing a new agent. Customers see online reviews as social proof. They want to know that other people tried out a specific insurance company or agent and had a positive experience with them. Without those reviews, people become wary and their likelihood of a purchase decision will decrease due to a lack of reviews. The good news is that people are now writing more positive reviews after their experience with an insurance agent. So where do consumers leave their reviews? 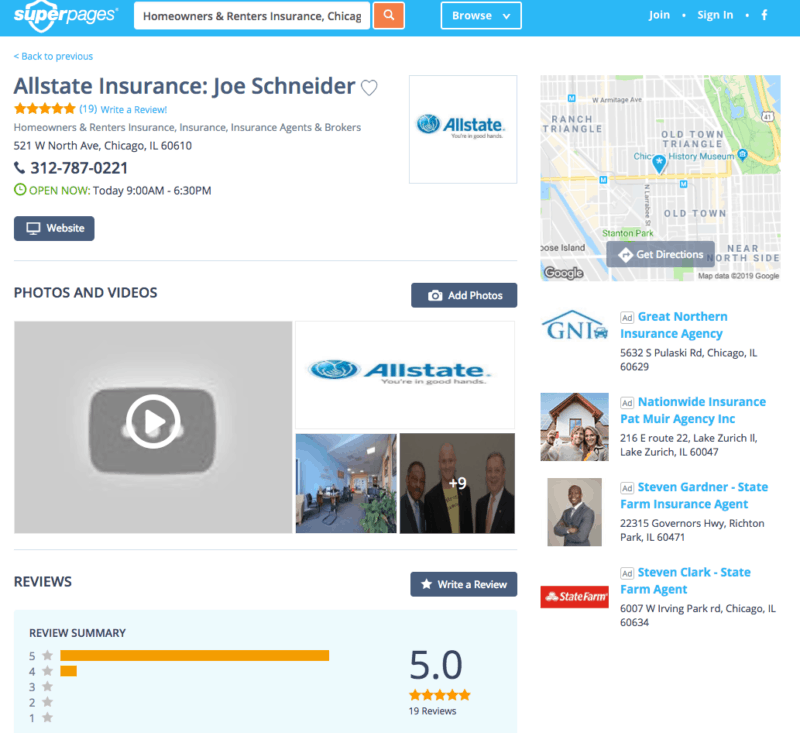 The following sites all feature ratings on insurance companies and agents alike. Insurers should have a presence on these sites if they want to increase their exposure and grow their online reputation. 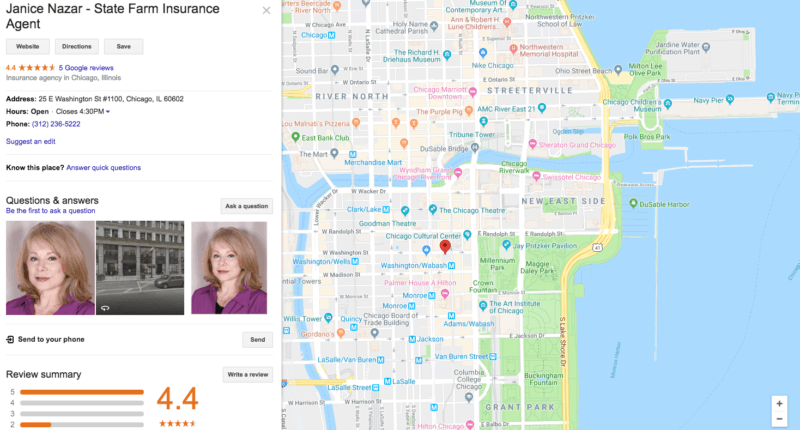 Insurance companies and individual agents alike can claim their own Google My Business listing and show up on the world’s most popular search engine. To better inform customers, they should also include as much information about your listing as possible. This includes updated and accurate contact information and address. Images can also help people visually identify the office or put a face to the agent’s name. You can easily claim your Google My Business listing by following our quick and easy claim guide. 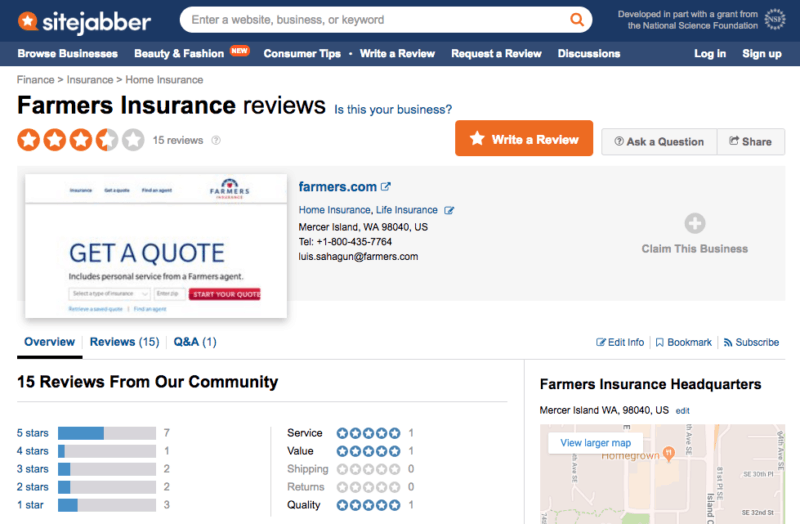 In addition to the usual trimmings on any Yelp business listing, insurance agents can also utilize Yelp’s “Request a Quote” button. Clicking on this button allows users to ask you their plethora of insurance questions. They will also need to provide their first name and email address with the latter being the primary form of communication between you and the potential client. Claim your Yelp listing today with our handy guide. 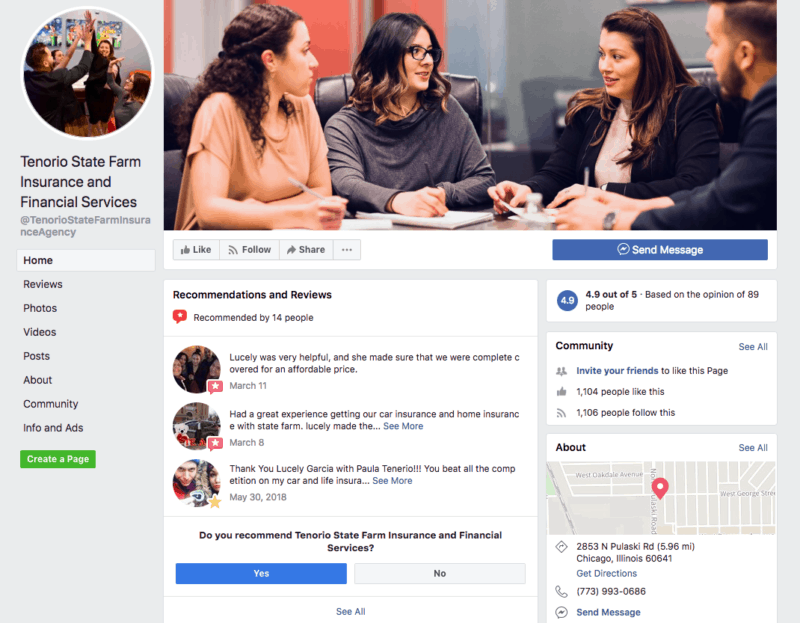 Local insurance agents can also have their Facebook business listing. Existing customers can leave reviews on your page and “rate” the business with the Recommendation system. There’s also an opportunity to attract more customers through posts. By making high-quality and compelling content, you can encourage customers to share your posts and grow the business’ exposure. Use our detailed guide to quickly set up and claim your own Facebook Business Page. 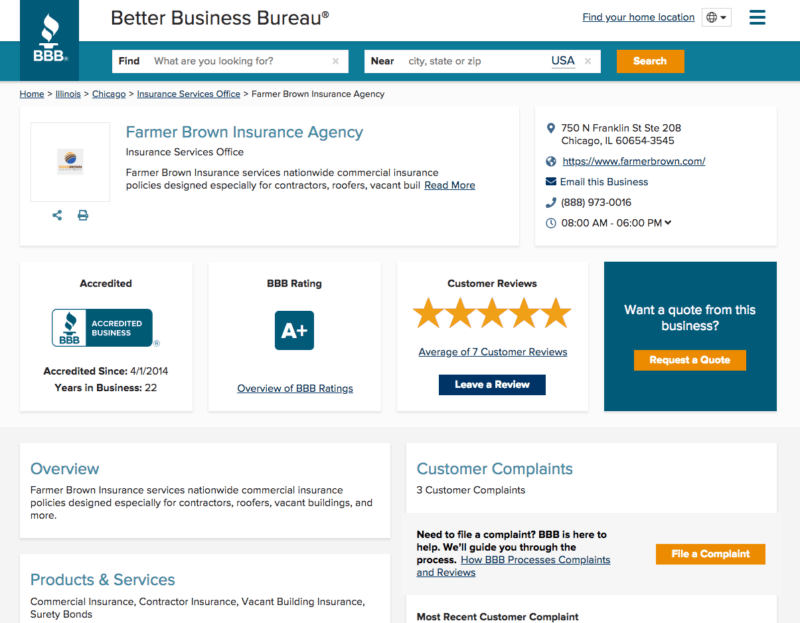 Customer reviews combined with the site’s letter-based grading system make the Better Business Bureau an essential review site for the insurance industry. In addition to the usual batch of location and contact information, a BBB listing also includes a brief overview of the agency, the products and services it offers, and any major complaints from consumers. Similar to Yelp listings, users can also click on the “Request a Quote” button on most listings to get in touch with an agent. Consumer Affairs features over one million reviews across 3,000 brands, and many people go to the site to leave feedback on their insurance. 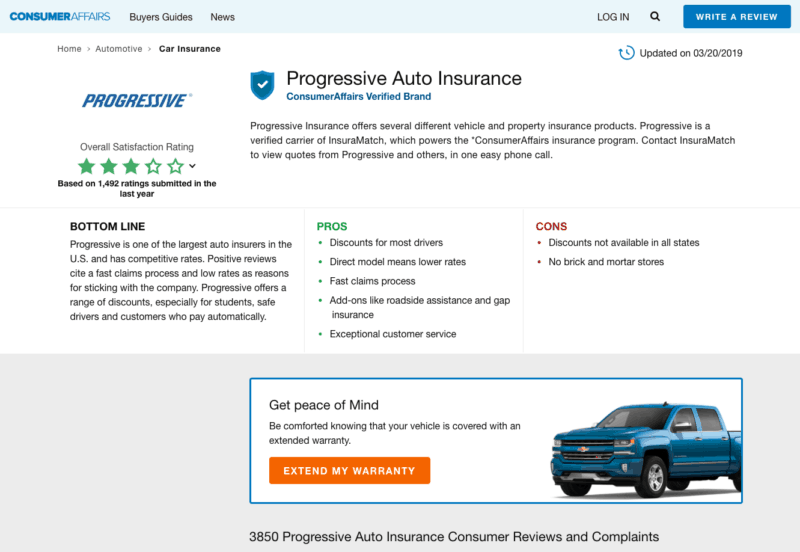 In addition to a brief description of the provider, a listing’s main page features a “bottom line” summary in addition to a “Pros” and “Cons” section that gives users a quick overview of the overall customer sentiment. For better context, reviewers can also include images with their text feedback and rating. Clearsurance differs from the rest of the sites on the list because it is an insurance-only review site. It features homeowners, renter’s, and automotive insurance. 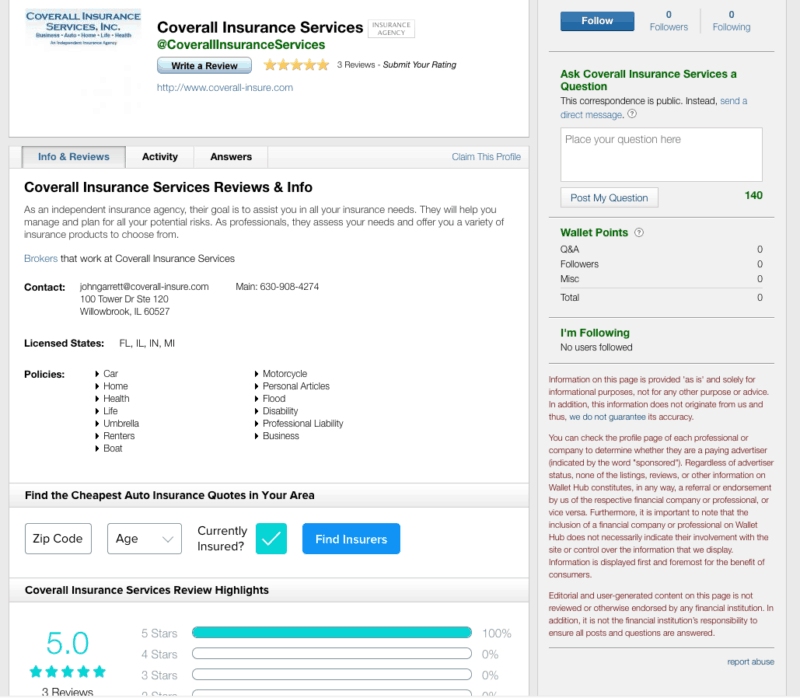 Similar to Consumer Affairs, each listing page on Clearsurance includes an overview and overall customer sentiment description of the provider. However, the Clearsurance goes even further and lists specific discounts and savings associated with each insurance company, which can further drive consumers to a purchase decision. As the site name suggests, this review site is full to the brim with negative customer complaints (along with a small dollop of positive reviews). In addition to an overall star rating, each listing page also includes a breakdown of that rating, which is based on customer service, product or service quality, and staff. Users can see the total number of reviews for the company, and more importantly, the number of issues that the company resolved from user feedback. The business reviews site attracts 2.5 million monthly unique visitors and features reviews of over 100,000 reviews. In addition to basic contact and location information, each listing includes links to the business’ social media accounts. When reviewers leave feedback on the site, they can also rate a business based on specific factors such as service, value, and quality. Instead of a star rating system, Supermoney lets customers choose one of three options to judge their providers: Recommend, Unsure, and Don’t Recommend. Users can also expand on their choice with text feedback. Supermoney also makes sure that customers are well-informed about each insurance provider. Each listing includes a detailed overview of the provider with information such as insurance types, its financial strength rating, and general availability. On top of customer reviews, Superpages listings include location and contact information at the top of the page for the customer’s convenience. Listing managers can also add photos and videos that can give consumers a better idea of the office, staff, and service provided. On top of offering credit scores and a daily monitoring report, WalletHub also provides information on different types of insurance providers. Users can also filter their searches by a specific agent or broker, agency, or company. Each listing includes basic contact and location information as well as a list of states where the provider is licensed to operate. Listings also have an “Answers” tab, which allows users to ask the provider questions directly through Wallethub.